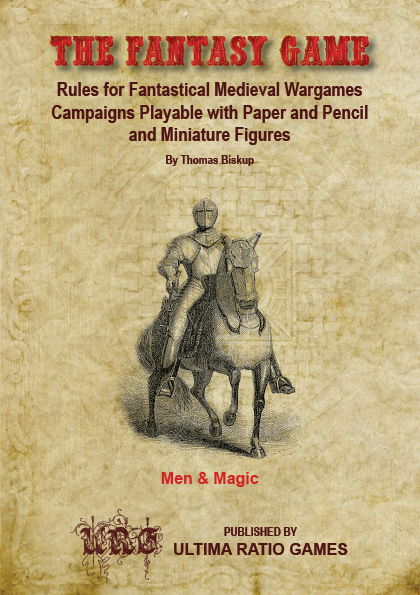 To the right you find another attempt at designing the cover for 'The Fantasy Game': I have replaced the classic knight from the initial attempt with a new kind of knight, who is somewhat more fantastic. In any case the image also is more vivid and dynamic... what do you think? Personally I have become somewhat accustomed to the classic knight (yeah, I already cal it a "classic" ;-) ). 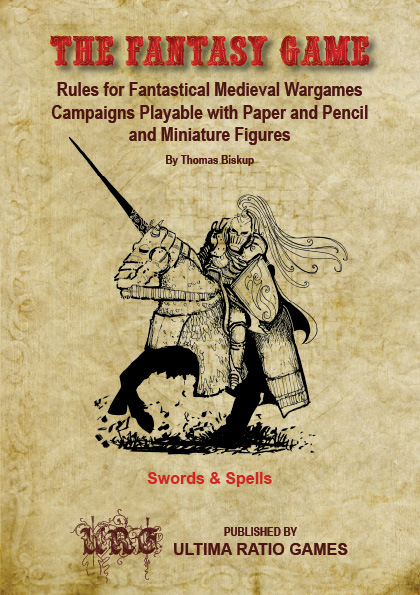 It has kind of grown on me and now I miss it :-) To me the classic knight seems to represent the early days of the hobby in a more appropriate way, even if it seems more Arthurian that alternatives. Which one do you like better? Or would you like to see something totally different? My vote goes to the one on the left; the new version. It just looks way cooler.